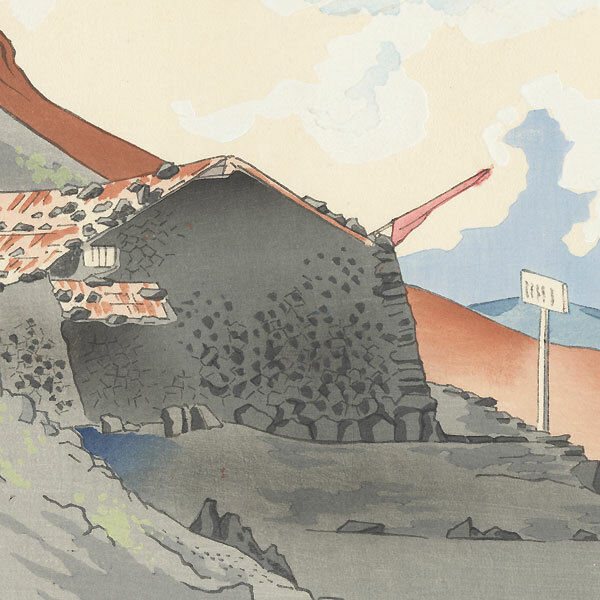 Tokuriki's Thirty-six Views of Fuji - In his fantastic "Thirty-six Views of Fuji" series, Tokuriki illustrated the beauty and majesty of Mt. Fuji, Japan's sacred mountain. The great peak appears at dawn and sunset, in rain and snow, from far away or dominating the horizon, but always as a serene symbol of the beauty and power of Japan. 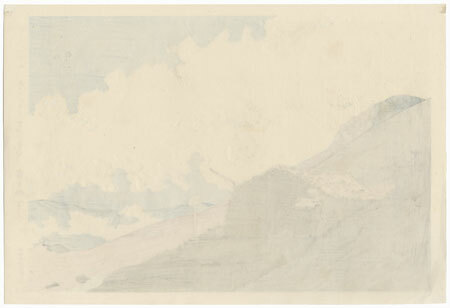 Tokuriki's wonderful landscapes illustrate traditional Japanese views, yet with a distinctly modern sensibility. 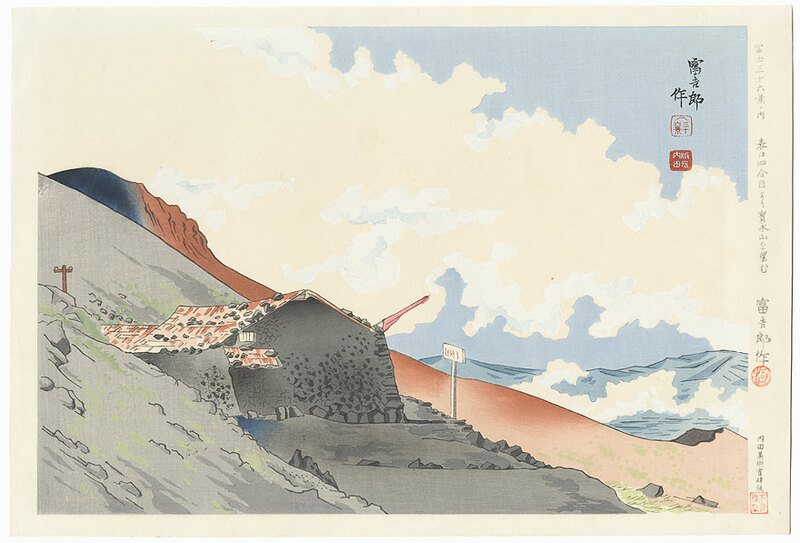 At Fuji Arts, we’re excited to be able to offer a lovely Tokuriki group from his masterwork "Thirty-six Fuji" series. These are original first edition woodblocks, published between 1939 and 1940 by Uchida. Condition - This print with excellent color and detail as shown. Slight thinning and paper remnants on reverse at top corners from original publisher mounting. Diagonal folds at corners, a few creases, small indent. Please see photos for details. Good condition overall.